Note: Number and key above are examples. Do not attempt to enter these examples. 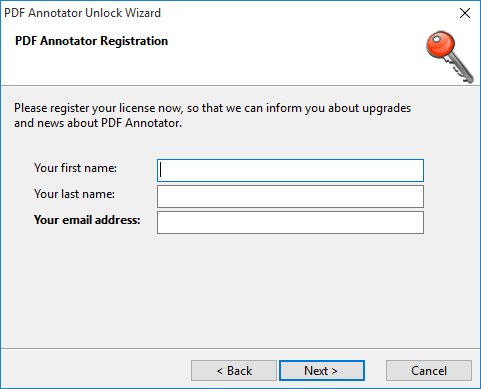 Use the individual data sent to you after your license purchase. If you can't find your license, you can request your license information. 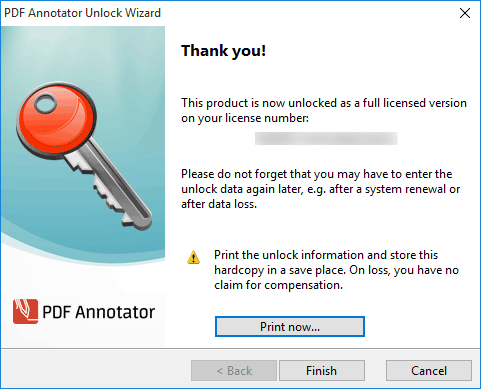 You will need to enter both, license number and unlock key, into PDF Annotator as described below. Did you receive your license information by email? 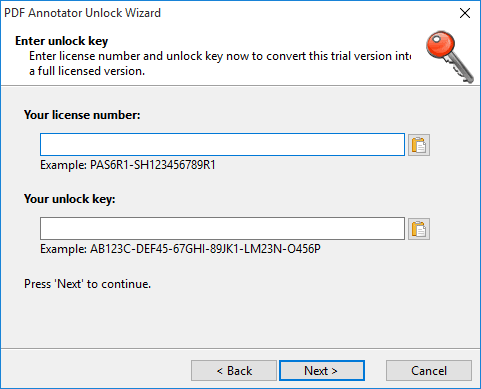 If yes, we recommend to copy your license number and unlock key, all together, into the Windows clipboard before proceeding. 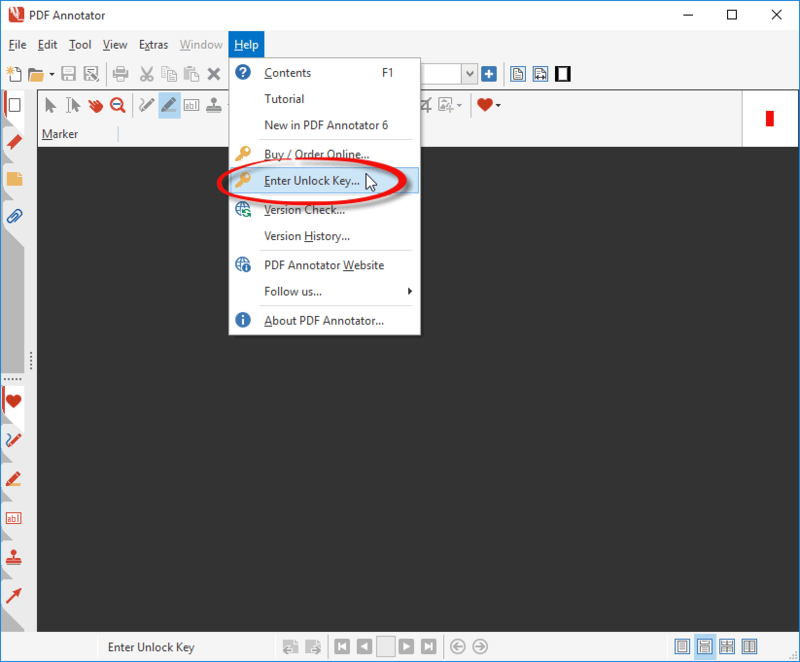 In your email, select both lines, including license number and unlock key, with the mouse. Press CTRL-C to copy them to the clipboard. 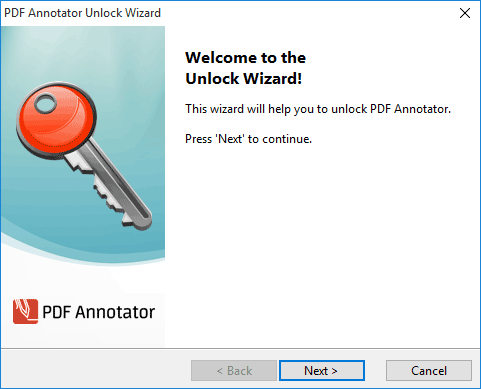 To start the Unlock Wizard, run PDF Annotator, and click Help, Enter Unlock Key. You're all set! 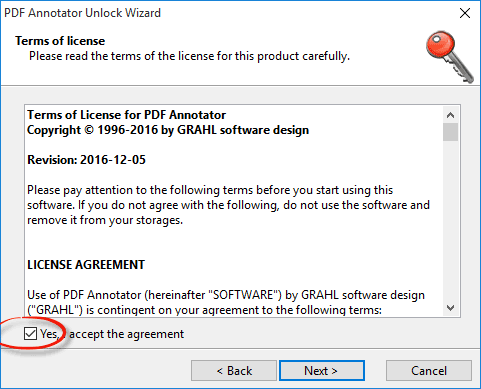 If you want to check your license, you can open Help, About PDF Annotator. Your license number will be displayed in green letters.